The scalability and cost-saving advantages of object storage are now available for all file storage use cases – primary NAS, remote office file servers, global file collaboration, archive, and backup. 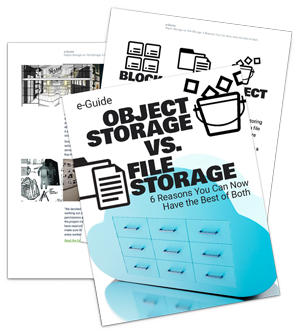 Download this e-Guide now to learn why object vs. file is no longer an either-or proposition. Get Instant Access to the e-Guide by Submitting the Form Below!